Useful for those interested in a career in science, the author recounts his unlikely path to becoming a Nobel Laureate. Beginning with his humble origins in Australia, he tells how he developed an interest in immunology and describes his award-winning, influential work with Rolf ... read full description below. 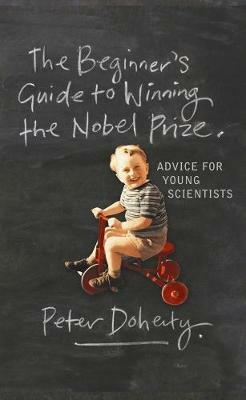 In The Beginner's Guide to Winning the Nobel Prize, Doherty recounts his unlikely path to becoming a Nobel Laureate. Beginning with his humble origins in Australia, he tells how he developed an interest in immunology and describes his award-winning, influential work with Rolf Zinkernagel on T-cells and the nature of immune defense. In prose that is at turns amusing and astute, Doherty reveals how his nonconformist upbringing, sense of being an outsider, and search for different perspectives have shaped his life and work. Doherty offers a rare, insider's look at the realities of being a research scientist. He lucidly explains his own scientific work and how research projects are selected, funded, and organized; the major problems science is trying to solve; and the rewards and pitfalls of a career in scientific research. For Doherty, science still plays an important role in improving the world, and he argues that scientists need to do a better job of making their work more accessible to the public.Throughout the book, Doherty explores the stories of past Nobel winners and considers some of the crucial scientific debates of our time, including the safety of genetically modified foods and the tensions between science and religion. He concludes with some "tips" on how to win a Nobel Prize, including advice on being persistent, generous, and culturally aware, and he stresses the value of evidence. The Beginner's Guide to Winning the Noble Prize is essential reading for anyone interested in a career in science. Peter C. Doherty was awarded the Nobel Prize for Physiology or Medicine in 1996. He is currently operating active research programs at both St. Jude Children's Research Hospital in Memphis, Tennessee, and the University of Melbourne.